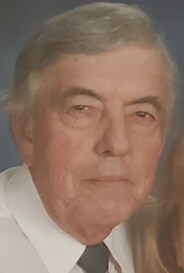 Age 74, of Fort Recovery Road, Houston, passed away of natural causes Thursday afternoon, March 21, 2019, at the Miami Valley Hospital in Dayton, Ohio. He was born October 27, 1944, in Troy, Ohio, to the late Leonard and Emma (Schlater) Grilliot. On April 16, 1977, at St. Augustine Catholic Church in Minster, James married Vicki A. (Peltier) Grilliot who survives. Also surviving is one daughter, Amanda & Jay McCollum of New Bremen and four grandchildren: Emma, Ella, Evelyn and Evan McCollum; Six siblings: June & George Chalou of Falls Church, VA, John & Carole Grilliot of Dayton, Joe & Jeanne Grilliot of Piqua, Larry & Amy Grilliot of Webster Grove, MO, Joyce & William Curtner of Piqua, Joanne & Steve Faler of Troy and a sister- in-law, Marlene Peltier of McCartyville as well as numerous nieces and nephews. He was preceded in death by one infant daughter, Kelly Grilliot; father & mother-in-law, Lester & Rogene Peltier and one brother-in-law, Dr. Michael Peltier. Mr. Grilliot was a 1963 graduate of Piqua Catholic High School. He went on to study accounting at the Miami-Jacobs Business College in Dayton and also served in the Ohio Army National Guard. James was retired from Newport Electric where he had been owner and operator. He was a member of St. Remy Catholic Church, the Houston Community Association and the former Houston Grange. Jim enjoyed spending time with his grandchildren; especially taking them fishing and giving them boat rides. Mass of Christian Burial will be celebrated 10:30 AM, Saturday, March 30, 2019, at St. Remy Church, Russia with Fr. Martin Fox presiding. Interment will follow at the Miami Memorial Park cemetery in Covington. Friends may call Friday 3:00 to 8:00 PM and Saturday 9:00 to 9:45 AM at Gehret Funeral Home in Fort Loramie. Memorials may be made to the charity of donor's choice. Private condolences may be expressed at www.gehretfuneralhome.com.